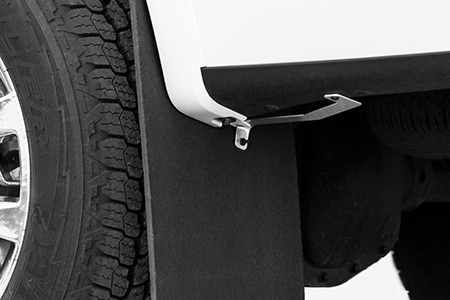 ROCKSTAR™ Splash Guard Mud Flaps is protection you can count on. The fitted universal mud guards come equipped for unexpected surprises with practical versatility and powerful, yet efficient performance. 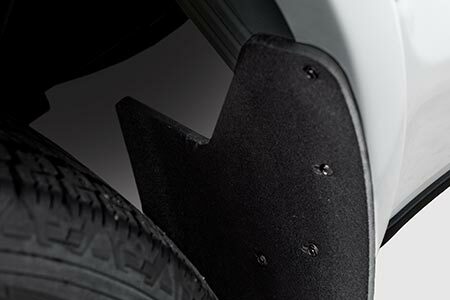 Designed with heavy duty composite rubber and aluminum stabilizing brackets for an ideal fit, these splash guards quickly and easily install level and flush on your truck, Jeep or SUV. Select either 23 or 20 in. length for your desired coverage with optional mirrored finished trim plates. 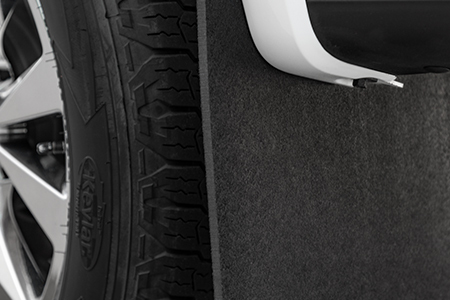 Make ROCKSTAR™ Fitted Universal Splash Guard Mud Flaps part of your travel plans. Utilize the included guide to aid with a level installation and ensure recommended ground clearance. 20 and 23 in. lengths available. Includes black mounting hardware. Extruded for added strength and flexible to -40° F. An even surface diminishes snow and mud accumulation. This rubber will not discolor your vehicle. Constructed from rust resistant aluminum with compatible hardware. The brackets install behind the splash guards for additional tire clearance. 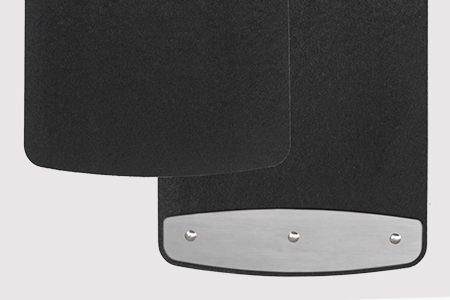 Select between pre-installed, decorative stainless steel trim plates or without for an all-black appearance. © 2019 Truxessories.com All rights reserved. All our Truck Box Accessories are manufactured by Agri-Cover, Inc. in Jamestown, ND.